Outdoor experiences allow teens to unplug from the complex world that we live in and reconnect with nature. Once we are able to reconnect, we can take a step back and examine our lives in a different way. Taking our groups on outdoor adventure experiences allows our young people to return home with a different perspective on how to face challenges in their lives. 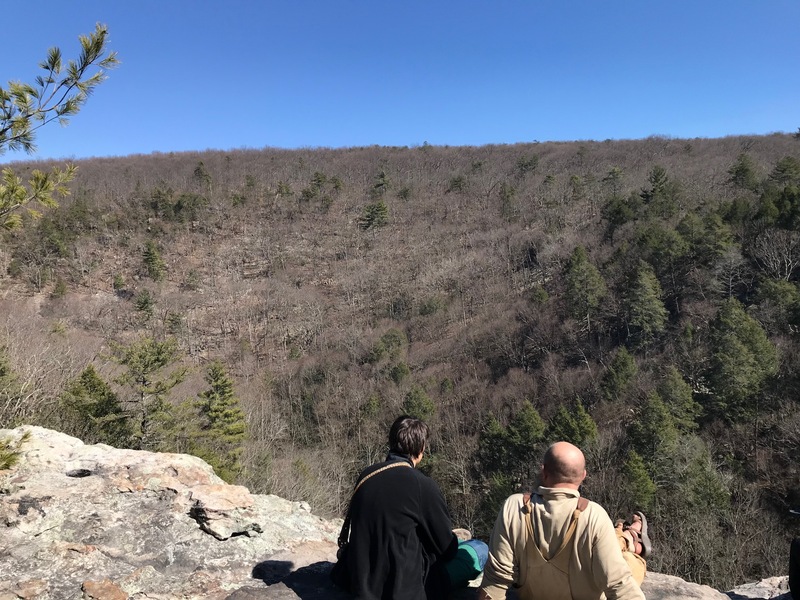 Last month, the First Step group participated in a camping and outdoor adventure, co-hosted by Jason Drevenak, director of the North American Bushcraft School. Jason, who recently starred in the Nat Geo Channel's Mygrations series, has been a long-time friend of Potomac Pathways, hosting our groups a couple of times a year over the past decade. During the week leading up to the camping trip the group discussed the importance of preparation in everyday life. Anxiety and stress are areas that some young people struggle with, and the group discussed how stress can decrease once they’re prepared for challenges that may arise in their lives. Our camping trip out to Jason’s proved to be a great metaphor for the need for planning and preparation. The group learned the importance of staying warm by packing the right gear and layering since the temperature dropped very low in the evening. Everyone packed accordingly and was prepared so that they could continue to be comfortable regardless of the weather. In addition, gathering around the campfire allowed the group members to open up more to one another, view and discuss their treatment goals in different ways, and allows the staff (i.e. therapists) the opportunity to intervene in real-time with our teenage and young adult clients. This trip helped the group build off of their successes in treatment by immersing ourselves in nature for two days. When we do these excursions, we are typically taking the group into a completely new environment that they have never experienced. This can sometimes be challenging for young people new to outdoor adventure. With every outdoor adventure that we go on, we have a starting group session where everyone checks in on how they’re doing, address any issues that are concerning for them, and then each group member - including staff - set positive intentions for the experience. We set our intentions and then we practice becoming mindful of how we are doing accomplishing our intentions, individually, and collectively. 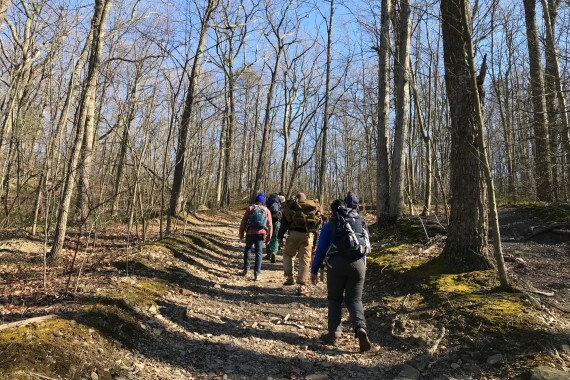 On the morning of our first full day, the group packed up our gear and carried it on a long day hike to the Devil’s Nose Mtn., near Hedgesville, WV.. We packed and brought most of our gear on the day hike as a way for our clients to practice preparedness. As a group, we recognized that we needed to be prepared in case one might need to be able to survive a night away from our campsite. Most hiking accidents happen to day hikers since they typically do not take the necessary precautions, such as letting others know where they’re going and when they expect to come back, packing enough water, and having extra food and first aid. At the top of Devil’s Nose, we held a group session. Jason taught our young people how to make fire by using both bow and hand drills. These activities may not seem applicable to everyday life, but have you ever seen the face of a young man when he’s able to make a fire with a stick? It’s pretty incredible. Having that sense of personal achievement opens up possibilities, including the possibility of becoming successful through one's own efforts, with the help and support of the adults in their life. 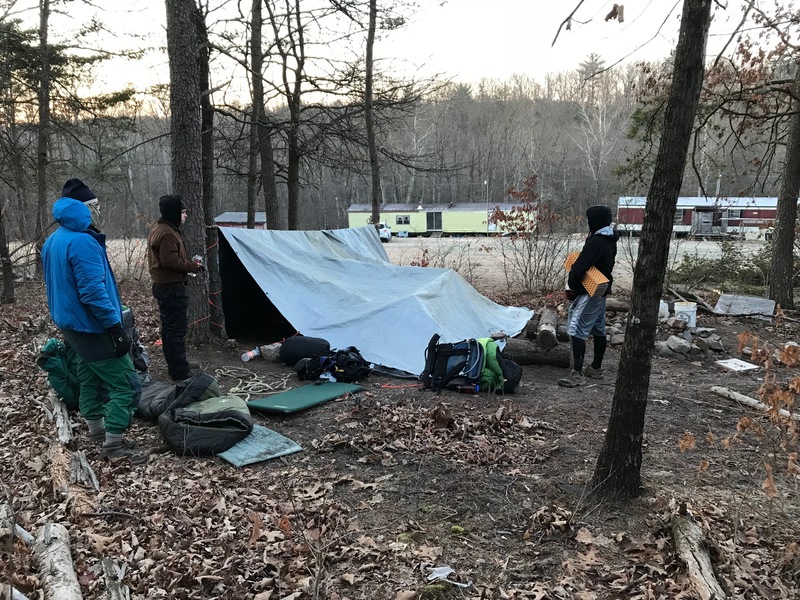 We learned how to make shelters in case of an emergency with heavy duty trash bags -- again, a skill that one does not really need living in the DC Metro area, but knowing how to survive and build your own shelter opens up a different world. Some of the group built and slept in a group shelter for the second evening. This experience helped participants work together to plan, problem solve, and execute the plan-- but this time, with a minimum of coaching by the staff. 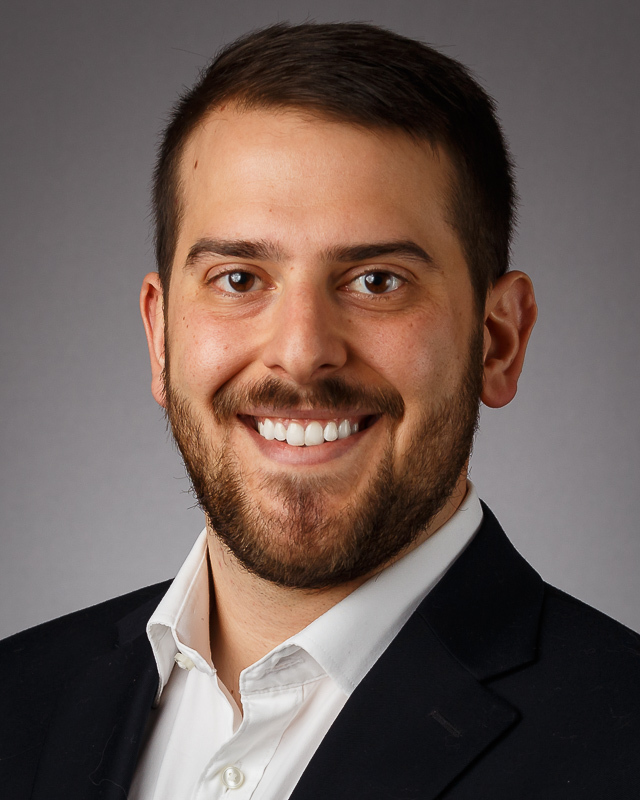 Nathan Luongo, LCSW-C holds a Master's degree in Clinical Social Work from Columbia University in New York, NY and a Bachelor's degree in Social Work from Catholic University in Washington, DC. Prior to joining Potomac Pathways, he worked with at-risk families in Brooklyn, NY providing an array of evidenced-based interventions for adolescents and adults with substance use, PTSD, and mental health disorders. Nate has worked with a chronically mentally ill population in a number of community settings, addressing substance use and symptom management. After his playing career was cut short due to an injury, Nate served as an assistant football coach at Catholic University. Outside of work, Nate enjoys spending time with family, going to the beach, and playing sports. The Potomac College Recovery Residence Opens!